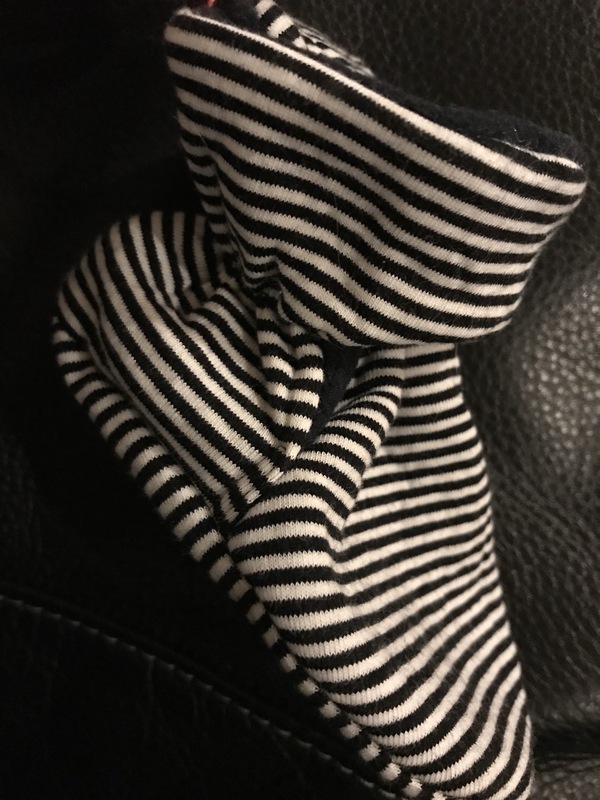 My 13 month old toddlers will NOT keep socks on. They pull them off by the toes of the socks and just giggle. It’s been so cold here and I hate them having bare toes, especially on our tiled kitchen floor. I bought some booties off of Amazon…. because I buy everything on Amazon. At the time that I purchased them the description said they had a non-slip sole. But the striped version that I bought didn’t have the non-slip bottoms. I complained in a review and they’ve since changed the description. I considered sending them back but they’re just too stinking cute. 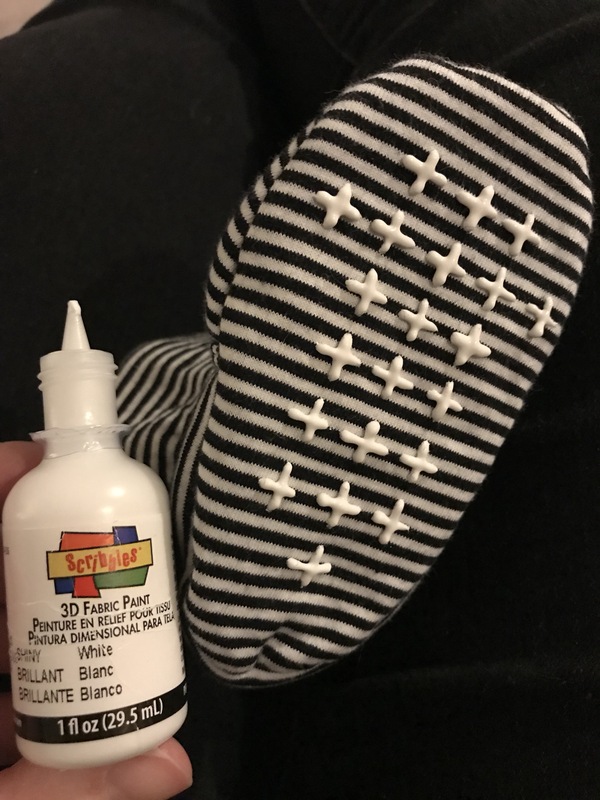 I came across a “life hack” option to use fabric paint on the bottom of toddler socks to add a non-slip texture. A lightbulb went off… the adorable booties can be saved!!! I had some 3D fabric paint on hand that I used for our Christmas stockings, so I thought I’d give it a whirl. The fabric paint cake from Hobby Lobby and I paid $1.29 for 1 fl. oz.